Channel Nine’s new observational doco series RFDS: Royal Flying Doctor Service will air from Monday September 24. The show will screen at 9:30pm. Narrated by Steve Bisley, the show will likely appeal to the big following of RPA and with the rugged and spectacular backdrop of the outback, sounds like a winner. Interestingly, RFDS was also the name given to the revamped version of Flying Doctors in its final season. Before the Crawfords drama met its end there was a final attempt to ‘modernise’ the show, with more contemporary stories. It was of course a drama that sold around the world, with significant interest in European markets. It all bodes well for a successful season of the new RFDS. RFDS: Royal Flying Doctor Service is a new observational documentary series that follows the daily working lives of the famous Flying Doctors personnel – the heart and soul of the Australian outback – and the patients they treat. Narrated by actor Steve Bisley, each half-hour episode will have a flavour that’s uniquely Australian, with exclusive access to the first, largest and most comprehensive aero-medical organisation in the world, the Royal Flying Doctor Service. More than 80 per cent of Australia is covered by the Flying Doctors and the series will be based in the iconic, rugged outback town of Broken Hill. RFDS follows the stories that begin with a call-in to the Flying Doctor base and fan out across the vast expanse of south-eastern Australia. 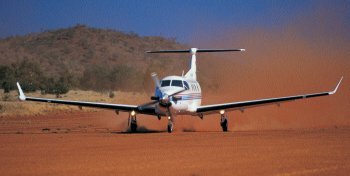 The Flying Doctors are responsible for delivering medical services to rural and regional New South Wales, Victoria, Tasmania, south-west Queensland and northern South Australia. The Flying Doctors also provide health clinics, bringing the expertise of medical and health specialists to patients in remote and rural areas. The clinics and the characters at these isolated communities and outposts make up a key part of the series, because they provide such an important social gathering place for people who often don’t see anyone for weeks or months at a time. In episode one we meet Tayla, a 17-year-old schoolgirl from Broken Hill who has been having seizures for 27 hours. Flight nurse Brendon Kiley goes to Broken Hill Hospital to transport Tayla to Adelaide for urgent neurological tests. But when he arrives he finds the situation is much worse than he first thought. Tayla’s family is distressed and Brendon knows she cannot fly in this condition so he calls in Dr Peter Lyall to help with the flight to Adelaide. Harry, 68, is caretaking on Epsilon Station with his partner when he contracts a gastro virus that make him unable to eat or drink anything for 24 hours. Pilot Magnus Badger and flight nurse Sue Hines have to cope with fading light to retrieve the severely dehydrated Harry and get him to hospital – they won’t be able to land on the closest dirt strip at night because it’s too dangerous. Sue is under pressure to do everything to secure her patient, they are losing the light fast, and they can’t afford to be stranded on the strip overnight. Flight nurse Martyn Martin has only been with the Flying Doctors for four weeks and Dr Kai Kursatz is on his first emergency shift when they are called out to a priority one emergency: a motor vehicle accident in Coonabarabran has left one man dead and another fighting for his life. But just as Martyn and Kai are about to take off on their life-saving flight they must stop, as the tiny hospital in Coonabarabran has no blood supplies. As well as the extreme isolation, unpredictable working conditions and risks involved in every emergency call-out heighten the sense of urgency in these stories of struggle and survival set against the backdrop of the Australian outback, which is in the grip of a 100-year drought. The series presents stories of amazing real-life drama and hope from the vast Australian interior, as it explores the world of the dedicated teams of RFDS pilots, flight nurses and doctors, and the people they encounter. RFDS is produced by Granada Productions with the co-operation of patients and staff of the Royal Flying Doctor Service, South Eastern Section. Experience the devotion, dedication and perseverance of the pilots, doctors and nurses who work for the Flying Doctors and marvel at the characters of the bush. what the cost would be for us so my son can have a chance to see and be able to drive and hold down a proper job as he is putting his life on hold because of his sight. has the series finished already? i missed it this monday? Interesting to see a show about the Royal Flying Doctor Service, with the RFDS base at Broken Hill and one of the pilots living next door to me, it’s a shame we don’t get to see the show because we aren’t lucky enough to get channel 9. No, 9:30 is OK. You cannot put it up against the Border Security, and secondly the medical scenes may not allow it to be shown that early. 7:30 remains Nine only true problem each week. 930 is a ridiculous timeslot for a program like this…. a 730 spot would be better, as i’m sure most viewers would find this just a tad more interseting than a similar show about the RSPCA….